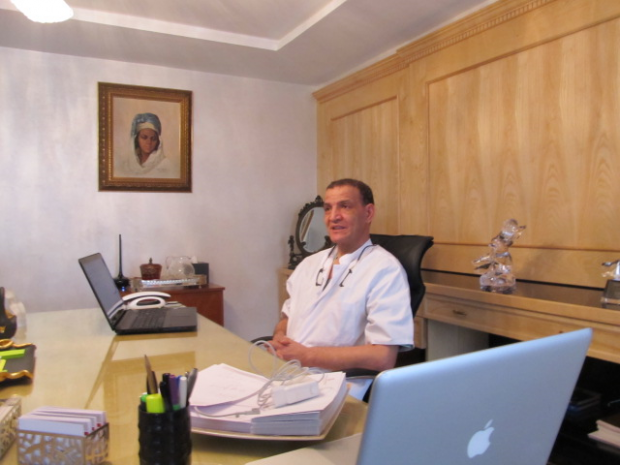 It takes special skill, knowledge and dedication to work in the plastic surgery field of medicine–and El Hassan Boukind, a professor plastic and cosmetic surgery, has all of that and more. His career spans 26 years and covers multiple areas of study; the breadth of his skills and talents in the surgical field are showcased by his in-demand work and his own efforts to spread knowledge and medical care throughout the world. El Hassan Boukind trained in the area of general surgery at Ibn Rochd Hospital in Casablanca. From there, his interests were drawn to plastic and cosmetic surgery, which he began practicing in 1989. He worked in the specialized field of maxillofacial department of Foch at the Rothschild Hospital in Paris; his work continued in Paris with his graduation from the Collège Français de Chirurgie Plastique et Esthétique and the Collège Français de Recherche en Chirurgie Esthétique. But Boukind did not stay in Paris forever. He returned to Morocco to continue his work and studies. There, he was given the prestigious appointment as the head of a department for severe burns and plastic surgery. His studies in this area were so extensive that he became an associate professor in this discipline specifically. Boukind’s career extends beyond his home hospitals. He is currently the medical director of Operation Smile Morocco, a sub-operation of Operation Smile United States. Operation Smile Morocco is a group of medical personnel–including plastic surgeons–who volunteer to help children with facial malformations live happier lives. This excellent charitable work showcases Boukind’s philosophy: to help others, always.